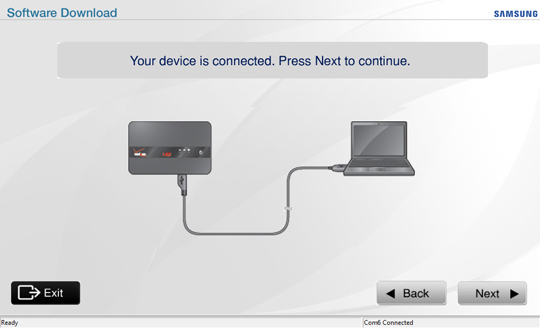 Connect to the Internet then navigate to the Verizon Wireless Home page. If Jetpack not shown in list, click Select Another Device. 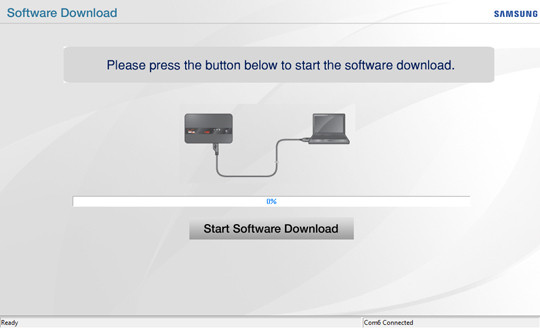 From the Page Contents list, click Operating System and Software. 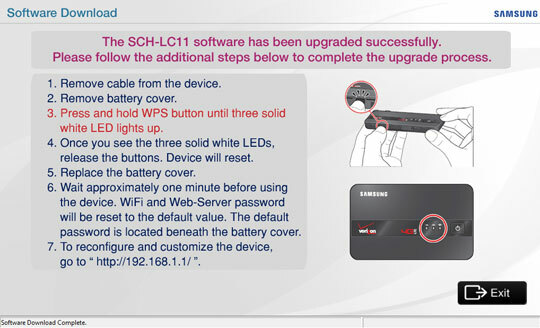 Click Software Update: Verizon Jetpack 4G LTE Mobile Hotspot - SCH-LC11. 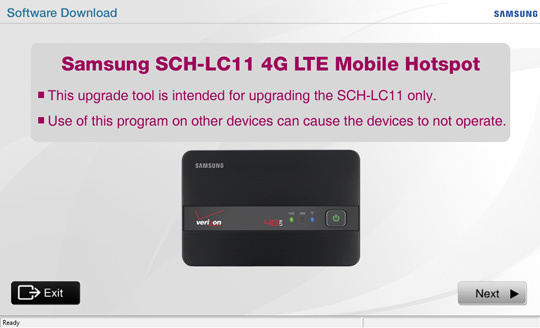 From step 1 of the Download and Install the Upgrade Tool section, click Samsung 4G LTE Mobile Hotspot SCH-LC11 Upgrade Tool. 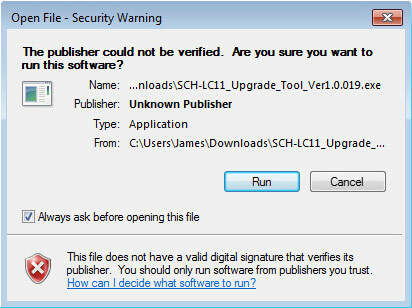 From the Software Upgrade Tool For Windows Operating System section, click SCH-LC11 Upgrade Tool. Windows XP: Additionally, select the appropriate location to save the file then click Save. 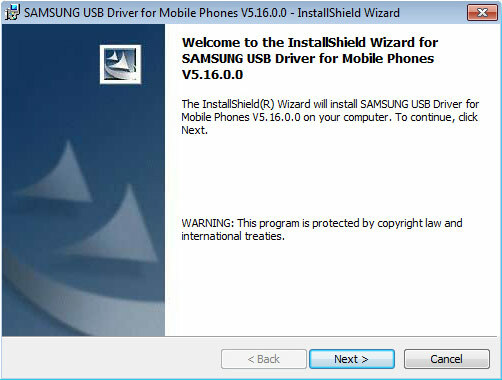 Version may vary from the image below. 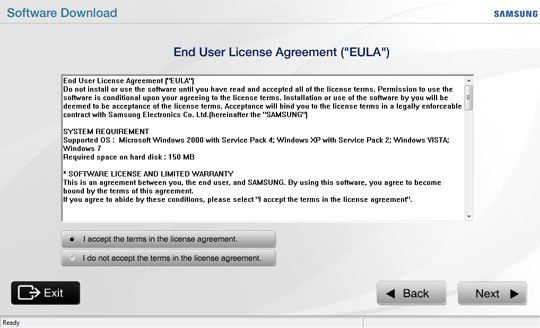 Review the End User License Agreement, ensure I accept the terms in the license agreement is selected then click Next. 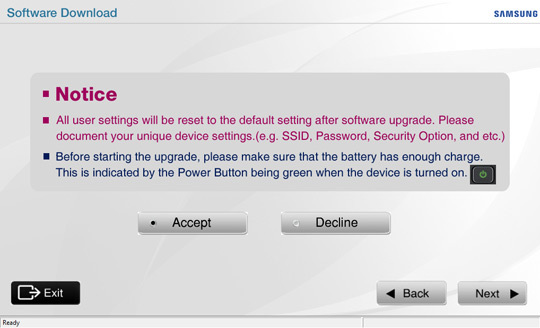 Review the Notice, ensure Accept is selected then click Next. 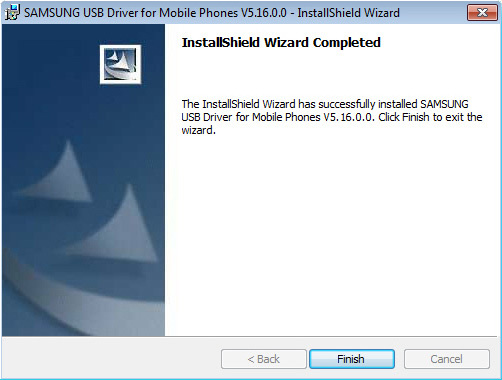 Enable download mode on the device then click Next. 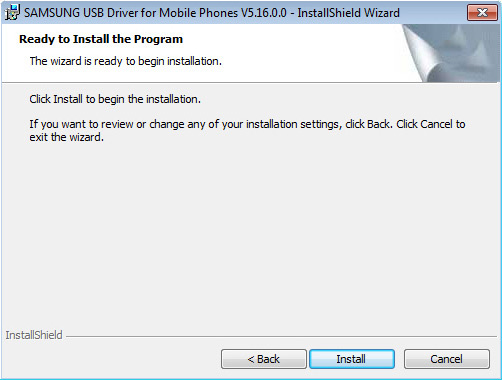 Press and hold the WPS button then simultaneously press and hold the Power Button. When the three LED lights are solid blue, release all buttons. 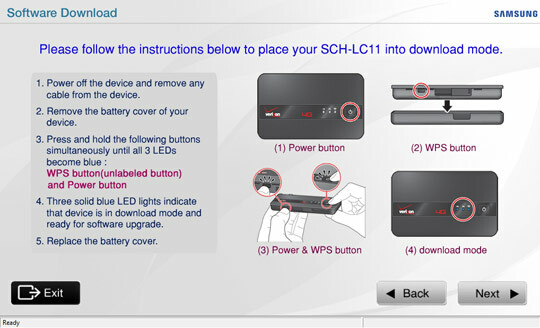 When the three LED lights are solid white, release all buttons.